Gene synthesis services | BaseClear B.V.
BaseClear offers the highest quality, sequence-perfect synthetic gene constructs and at the lowest price per base pair. 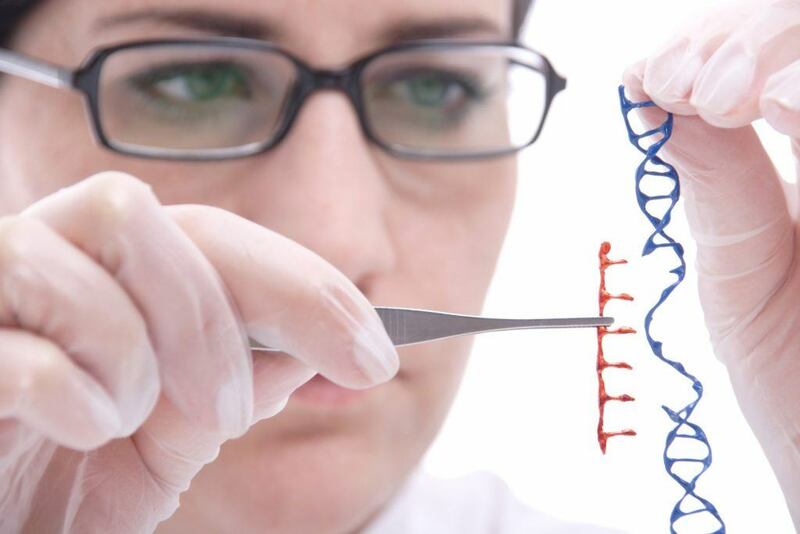 With our gene synthesis service we deliver constructs ready for use in your application. You can order your genes by using our online platform https://orders.baseclear.com. Simply enter your gene name and upload your sequences. By uploading your gene sequences via our online ordering you can be assured for safe data transfer. Price: We offer the lowest gene synthesis prices. Standard pricing is €0,18 /bp with a minimal order of €100,00 per construct. For yearly commitment of certain number of base pairs prices can be as low as €0,10 /bp. 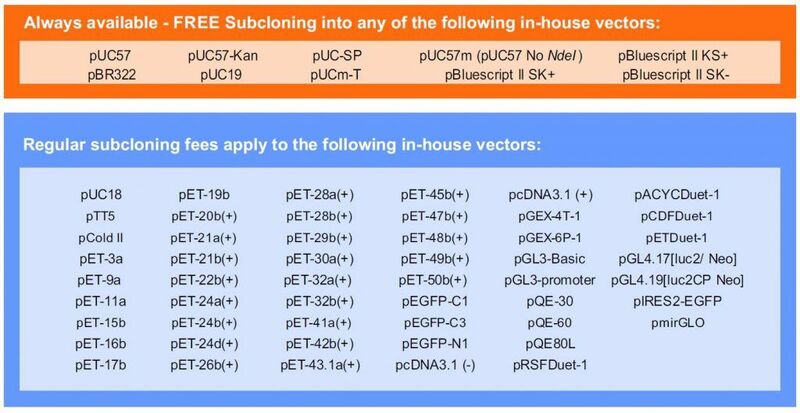 Subcloning service: Save time and money by using our in-house vectors for your next gene synthesis project! BaseClear offers 100% free subcloning into seven in-house vectors. Our price for subcloning in other vectors is €100,00, however for large gene synthesis projects we often offer this service free of charge! Contact your account manager to discuss the possibilities for your custom gene synthesis projects. Available vectors: We’ve recently expanded our stock of in-house vectors to include those most frequently requested by our clients. By using our stocked vectors, there is no need to purchase and mail in your preferred vector. If your vector of choice is not listed, please send an aliquot of your vector to our lab. Quality guaranteed: We provide clonal, 100% sequence-perfect synthetic genes of the highest quality, ready for use in your application. Order size: We have no minimal order quantity, so you can simply order a single gene. Large orders are our specialty. We have partnered with customers on projects well over 1,000,000 base pairs. Gene length: We accept orders for genes from any length. However PCR products <150 bp cannot be sequence verified. Deliverables: Typically, we ship 4 µg of DNA in either 96-well plates or single tubes. We can deliver higher quantities at an additional charge. We deliver genes in a standard in-house vector. Delivery in other vectors is possible with our subcloning service at additional charge. Our artificial gene synthesis process starts with oligonucleotide synthesis. Multiple long oligos of around 50-60 bases in length with similar melting temperature are chemically synthesized as fragments based on the desired final gene sequence. Oligos are designed to assemble with each other through overlapping sequences. Next the gene is assembled by using PCR. The oligo fragments are assembled into blocks of up to 1kb of double stranded DNA. These blocks are then assembled and amplified once again using PCR to create one large double stranded DNA construct. The synthesized DNA is inserted into a specific vector. The vector is then isolated and amplified. Next colonies are grown and appropriate ones are then selected containing the synthetic gene of interest. All final artificial genes are verified by DNA sequencing and only those with the correct sequences are selected. This ensures that the gene synthesized conforms to the specifications planned in the beginning of the project. Further QC measures are applied and the gene is lyophilized into a microcentrifuge tube. The gene is now ready for downstream applications.